There’s no excuse — recent changes in insurance reform now cover many preventive tests that could save your life. Here are eight tests you should ask your doctor about. It’s a simple test that can have a profound result. Preventive tests and screenings are important tools in the medical world that catch diseases early — diseases that could be life-threatening if not caught early enough. Here are eight tests you should ask about the next time you visit the doctor’s office. 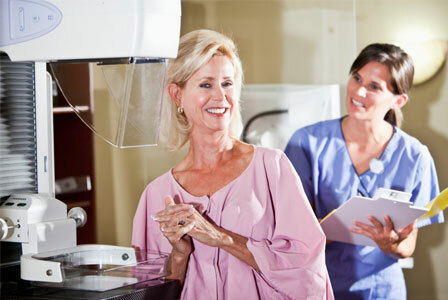 The Office on Women’s Health with the U.S. Department of Health and Human Services recommends that all women begin discussing mammograms with their primary physician at age 40. Starting at age 50, the preventive test that detects breast cancer is recommended every two years through age 74. According to the American Cancer Society, 97 percent of women diagnosed early — when the cancer is confined to the breast — survive without a recurrence for five years. Screening for osteoporosis, especially for older women, is necessary — especially those who are at risk, such as if you have reached menopause or have a history of smoking, according to the Office on Women’s Health. Osteoporosis affects all bones in the body, but it can make women especially susceptible to breaks in the hip, wrist and spine. Fractures in the spine can occur from day-to-day activities, including climbing stairs or lifting objects. Patients age 21 and older should get a Pap test every three years through age 30, and then a Pap test and HPV test together every five years after age 30, according to the Office on Women’s Health. A Pap test is a screening that helps detect cervical cancer. If caught early, colorectal cancer is more than 90 percent curable. Though guidelines suggest that you should undergo your first colonoscopy at age 50, you should talk to your physician about getting screened earlier if you have a close relative who was diagnosed with colorectal cancer before age 50. Did you know that one of the six most common cancers in Americans is oral cancer? According to the Academy of General Dentistry, undergoing a dental screening can help prevent gum disease and tooth decay. Smokers and women who drink alcohol more than a drink or two a day are at a greater risk of developing oral cancer. A dentist will be able to help spot any changes in tissue, so don’t skip on those regular checkups. The No. 1 killer of women is heart disease. If you have a family history of heart disease, it is important to undergo annual exams — possibly even as early as your 20s. Doctors will listen to your heart for abnormalities and check your blood pressure. Further tests may be warranted if you experience any troubling symptoms, such as shortness of breath and chest pain. Along the same line, cholesterol can have an adverse effect on your heart, which is why lipid profiles are important to tracking your risk of heart disease. Doctors will measure the total cholesterol in your blood, including the good (HDL) and bad (LDL) cholesterol and your triglycerides. If your cholesterol is over 200, or doctors believe you are at risk in other areas, they may prescribe dietary changes or even cholesterol medicine. Melanoma is the deadliest form of skin cancer and is the second most common cancer in women in their 30s, according to the American Cancer Society. But if caught early, skin cancer is curable. If you’ve had extensive sun exposure in your lifetime, you should plan on an annual preventive check. Often, primary care physicians will refer you to dermatologists, who will then check your skin for growths or unusual-looking moles. New technology also allows physicians to scan your moles now so that they may be compared with ones that are examined during future visits.